I live at a university and drive back home(150 miles) during weekends. Currently, I drive a Prius which is a gas saver and very reliable. However, driving with it is soooo boring! Looking for a fun car, no need for a high HP. I can do some maintenance by myself, it is better to be reliable. I like 86/brz but they are way out of my budget. My first option now is Miata, but space is a big con for me to consider.Any other choices? 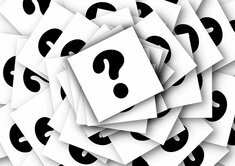 I suggest looking at two readily available, reliable hatchbacks - the Honda Fit or Chevy Sonic. Both have a relatively fun to drive factor in that they are fairly zippy and handle nicely. Bonus for college student is lots of space for your stuff. The Sonic with the Turbo engine will be faster thus more fun to drive. The Fit's Magic Seats provide a more spacious / flexible cargo area . As a former Fit owner I can vouch for the Fit's fun to drive factor, reliablity & good fuel economy - with reasonable driving habits it can easily exceed the EPA mileage estimates. My 2011 averaged 33-36 in urban driving & 38 to 41 highway (need to keep it under 70 mph to exceed 40 mpg). I have not driven the Sonic but it gets pretty good reviews also. Give 'em both a try & see which you prefer. 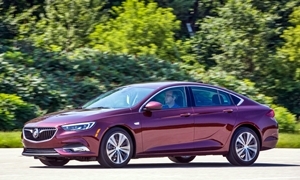 Save your ears from those tin-box economy cars and look at something that is just as good of handling in Motor Trend figure-8 handling test of 26 seconds and brakes shorter with 295 lb-ft of torque. Keep your speeds at the speed limit and you'll see almost 40 mpg highway. 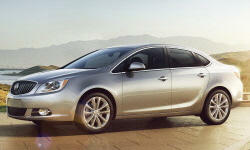 Used 2014 Buick Regal Base for sale at Corwin Honda in Fargo, ND for $10,000. View now on Cars.com. 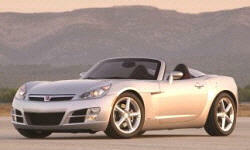 Used 2007 Saturn Sky Red Line for sale at Saybrook Motorsports in Old Saybrook, CT for $7,990. View now on Cars.com. Agree with danlisahall as those are pretty good suggestions. Would also consider the Mazda 3 as it is relatively fun to drive, not that expensive, and a good deal if bought used. A used Regal is not a bad suggestion either, those cars are pretty solid as well. 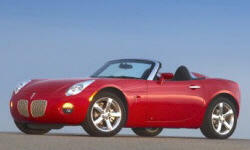 I think the Miata would be a great car for you. It is the one car I wish I never got rid of. If you need space it isn't the car for you. 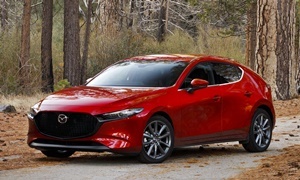 If space is a concern, look for a 2012 or newer Mazda3. The 2010 and newer ones are also good, but the 2012s and newer have the SkyActiv engine that is more powerful and much more efficient. 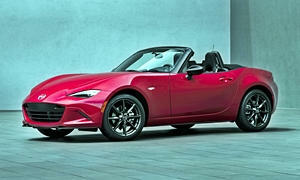 The SkyActiv engine is the same one used in the Miata. The manual in the Mazda3 feels almost as good as the Miata. 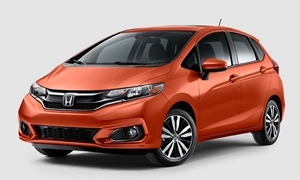 The Fit is my third pick, but it may just be as good as the Mazda3. The cargo room is enormous for the size of the car and the previous generation had good steering feel. The new generation kind of lost it, but it is a little more comfortable and the interior is much better. It will be hard to find the newest generation in your price range. I would skip the GM cars mentioned so far. I don't know why a Buick seemed like a good suggestion for someone looking for a BRZ.